Celebrity-owned concept looks to stand on its own as a premier burger destination. 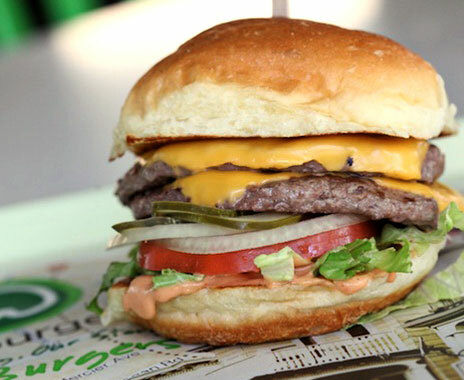 As Wahlburgers, a burger concept founded by actors Mark and Donnie Wahlberg and their brother Paul, readies its first franchise openings this year, the management team is hoping to capitalize on the publicity created by the famous owners and a popular A&E Network reality show, “Wahlburgers,” that chronicles the company’s inner workings. But while many celebrities have been drawn to the restaurant business and their fame has been an asset in creating initial buzz, Wahlburgers’ executives are determined to avoid the celebrity trap that has doomed many quick-service brands. Vanzura, who was formerly COO of Panera Bread, says Wahlburgers has all of the elements to be a long-lived venture. The culinary acumen of Paul Wahlberg, who owns and manages fine-dining establishment Alma Nove across the street from Wahlburgers’ flagship site in Hingham, Massachusetts, is one key element. So is Vanzura, who wanted an opportunity to helm a business and took a chance on the upstart Wahlburgers because of its unique attributes. “The combination of celebrity and Paul’s ability as a chef is what attracted me,” Vanzura says. While Wahlburgers does leverage the family’s fame inside the restaurant, nods to celebrity are ultimately subdued, he says. The interior design includes iconic elements reflecting the Wahlbergs’ story: a family history posted on the back wall, a die-cut ceiling element highlighting Mark and Donnie Wahlberg’s movies, and a career highlight reel running on a TV over the bar. The menus include notes about the brothers’ favorite offerings with “language that reflects their wit,” Vanzura says. The management team spent two years developing and refining the Wahlburgers concept. The menu features several burger, sandwich, and salad options, while distinctive menu items include alcoholic frappes; sweet potato tots; a custom blend of ground beef consisting of short rib, brisket, and chuck; “Wahl Sauce,” a topping created by Paul Wahlberg; and a macaroni side dish from a recipe created by family matriarch Alma Wahlberg. Warren Ellish, president and CEO of Denver-based Ellish Marketing Group, says Mark and Donnie Wahlberg’s fame and regular brand exposure from the TV show are clear assets for Wahlburgers, but he cautions that they also create risks. There’s also a danger that the reality show could backfire, Ellish says. What makes for good TV viewing isn’t always good for a brand. “Drama is not necessarily good,” Ellish says. “Some episodes of ‘Undercover Boss’ have resulted in negative stories.” It does help that Donnie and Mark co-produce the show, he says, but in order to keep ratings up, they can’t shy away from conflicts and missteps that may come with launching a new brand. Wahlburgers will grow via area development agreements in which a single franchisee has exclusive rights to a regional market. Would-be franchisees need $5–$10 million of liquid net worth to be considered, Vanzura says, and must be committed to maintaining high quality and building a lasting brand. The budding chain plans to open sites within the next 12 months in the Fenway area of Boston; at a mixed-use development with anchor Whole Foods in suburban Lynnfield, Massachusetts; and at Toronto’s SoHo Metropolitan Hotel. A deal is also in the works for Philadelphia, Vanzura says, while other markets, including Los Angeles, are in the management team’s sights. The brand has a lot of potential for growth, Ellish says, but there are some cautionary flags that executives will have to work on as they grow.